Granny Jo Rollator Apron Bag Apron attaches with 5 adjustable straps. Four pockets allow easy access to variety of items. Large roomy pockets provide easy access. 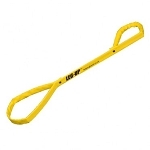 Apron attaches with 5 adjustable straps. 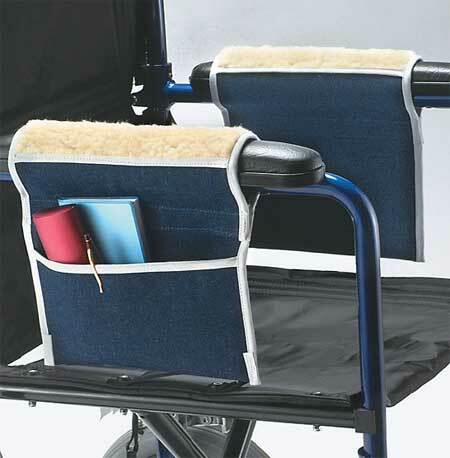 Fits most rollator style walkers. 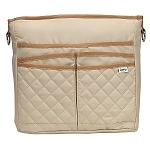 The Granny Jo Rollator Apron Bag has four large pockets that allow easy access to a variety of items. 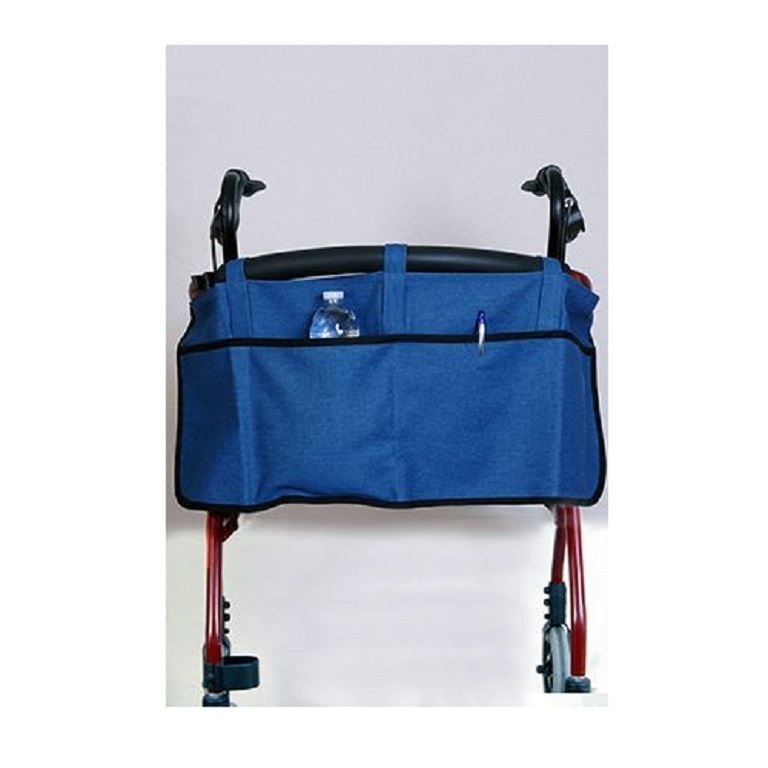 People using rollator walkers for mobility will find this bag helpful for carrying frequently used items. 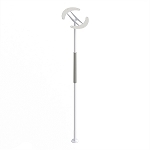 The Granny Jo Rollator Apron Bag attaches easily to most rollator walkers. 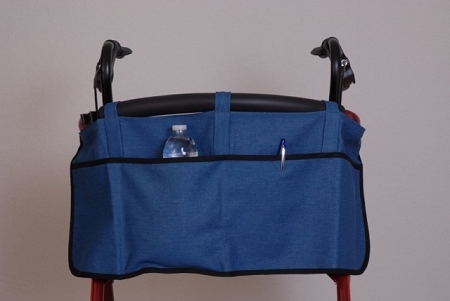 This durable denim organizer bag attaches easily with the five adjustable velcro straps that wrap around the front and side of the rollator. All Granny Jo Products are made in the USA. 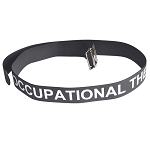 Measures: 12 inches long, 33 inches wide. Color: Dark Blue Denim with black trim.